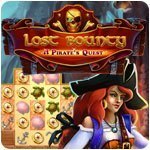 Lost Bounty - A Pirate's Quest Game - Download and Play Free Version! 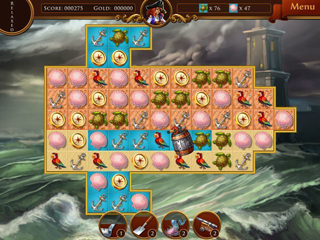 Pirates, treasure and adventure in Lost Bounty! 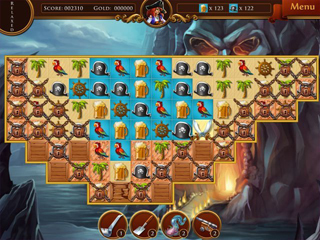 Follow Anne on an exciting adventure as she explores Skull Island. She will need to build a great cove where she can safely keep the Harpie's Song. Play through 80 levels of Match-3 gameplay, unlocking many powerups to aid you on your way. See the story of Anne Rackham unfold as she and her crew explores Skull Island.